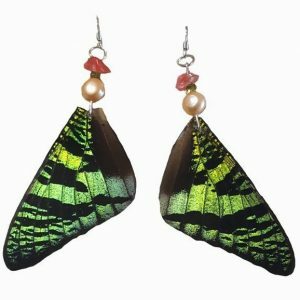 These Real Sunset Moth CuffLinks are Made from Sunset Moth. The wings are preserved 1n 15mm glass tile, to ensure long lasting durability. You can touch them without worrying about damaging wings. 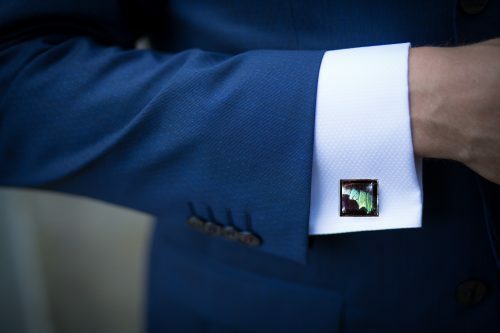 Cuff-links are not fragile despite its fragile appearance. 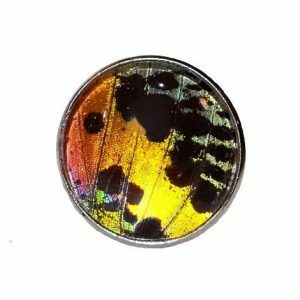 Need Something Neat For an Specail Occasion? Need A Matching Leather Bracelet? Than We have go to you covered. Check out the designers matching bracelet recommendation. Sunset Moth died naturally after living a full life (about 3 weeks). 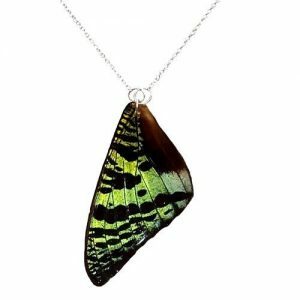 Purchases help preserve rain-forest and butterfly/moth populations.